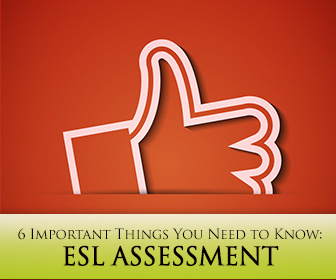 As your ESL course progresses, you might start asking yourself some questions. How are my students really doing? Are they truly meeting all the objectives? At this point, you realize you need to find out. This is when assessment comes to mind. I’m quite sure it rings a bell, right? But, what is assessment exactly? Well, to make it simple, assessment is information gathered by the teacher and student to manage instruction. It is also important to mention that there are different kinds of assessment and each has a different purpose. We all include different kinds of assessment in out lesson plans. Teachers as well as students need that kind of feedback to know what to focus on more, what needs to be worked on and what doesn’t. Now, here comes another question: what kind of assessment should be included in the lesson plan? If you want to know, read on. In the ESL classroom, what do our students or their parents, in case of kids, want? I’ll give you the answer, though I’m pretty sure you already know what it is: progress. They want to perform more and better, to be able to use more words and expressions, and the list goes on. How do we know for certain students are making progress? By using assessment, of course. It is how we collect data on student understanding. It provides information that we can use as feedback to make changes in our teaching. Basically, we can use assessment at any point, but we should keep in mind there are different kinds of assessment and each is used at different times. Let’s focus on two forms of assessment. Formative assessment can occur any time and mostly in the short term. Learners are trying to understand new content and to integrate it into what they already know. Summative assessment, on the other hand, usually takes place at the end of a large chunk of learning, and the results are essentially for the teacher's or school's use. Assessment should be done as often as needed, precisely because it should be goal oriented. Formative assessment is ongoing and done very often by using activities that can provide the feedback we need. Summative assessment is usually less frequent since it usually takes place after a large number of goals are accomplished. To reconsider instructional activities, strategies, and course content taking into account student comprehension and how well they are performing. To adapt the teaching to the needs of the students; student-centered classroom. To help students achieve more. To identify the strengths and weaknesses of the student and focus on what needs to be improved. In the case of summative assessment, to evaluate student learning at the end of an instructional unit and to confirm it meets a specific standard. Once more, the answer here depends on what the goal of that assessment is. Essentially, formative assessment can be done by teachers and students. Self-assessment and peer assessment on behalf of the students has proven to be very beneficial during learning. In this type of assessment the teacher is more like a coach or guide. Summative assessment is mostly handled by teachers. Different kinds of assessment use different types of tools. In the case of formative assessment some examples are: interactive class discussion; a performance activity like role play; a quiz or a log. Some examples of summative assessment are: standardized testing; final exams; projects students have been working on throughout a long period of time and research projects. Most often, assessment is the cause of great anxiety in the classroom , for teachers and students alike.